It’s an instant halwa made with bread. Take a pan and add ghee into it. Add sugar and continue to roast, stirring continuously for 7-8 minutes till you get halwa consistency. Garnish with the chopped almonds. You can use any type of bread, but I used wheat bread. You can use bread crumbs, bread pieces, roasted bread. 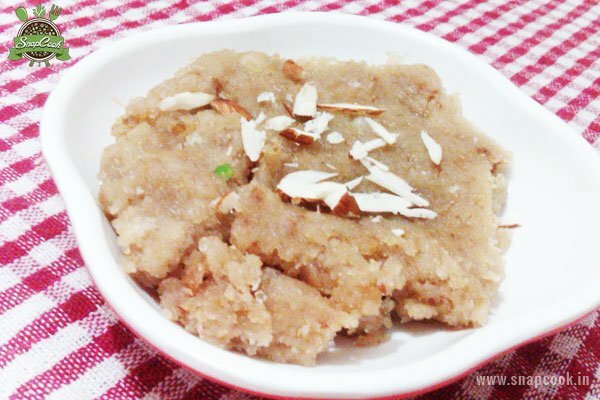 You can add milk if you feel that the halwa gets thick in consistency.